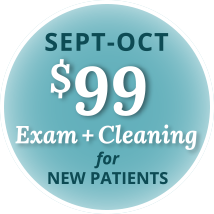 For new patients, Sept. and Oct. only. Check out our Special Offers page for details. © 2015-2017 Coulman Dental. Website designed by CgRYAN::design. Photography by Kyle David.